Accent your dining space with the Maldives Dining Collection. 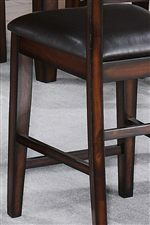 Crafted with warm brown woodwork, it has a rich look and feel that is casual yet refined. 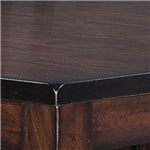 Choose from a counter height or standard dining set, each with a stool seating option in addition to chairs and stools. Browse other items in the Maldives collection from Miskelly Furniture in the Jackson, Pearl, Madison, Ridgeland, Flowood Mississippi area.